Videostream for Google cast is one of the best solutions to stream local media contents to Chromecast. It is a free Chrome app and gives almost all features you may want to stream local contents without installing any media server packages. Update 1: Videostream for Chromecast is now named as Videostream for Google cast following Google’s naming convention changes. Google now refers software as Google cast, and hardware as Chromecast. We don’t think it is necessary to update the page for such a name change. Update 2: If you are not sure how to launch Videostream after initial installation, you may check this guide. To stream local videos to Chromecast, here is another (4th) simple method using a Chrome extension: Videostream for Chromecast. This method of using a Chrome extension (Chrome app) is a compliment to the other 3 methods of streaming local media to Chromecast: Chrome browser tab casting, desktop sharing, and using Plex media server (and a web app). Simple to setup and use, compared to using the Plex media server. Support more video formats (with some sort of trans-coding), compared to Chrome browser tab casting. Very reliable and stable, compared to desktop sharing. Remote control for Android (currently it is free). Works just like a local media player with output to TV (Chromecast)! Free to use, but not for all features. Some features are not free. Of course, for most users, the free features are sufficient. No support for photos or pictures. Videostream extension is primarily for videos (and audios). if you want to cast your photos to your guest on TV, this is not for you. No remote control for iOS (at the time of writing this page). Videostream extension for Chromecast is very simple to setup, just like any other Chrome extensions. You need install Google Cast extension as well. 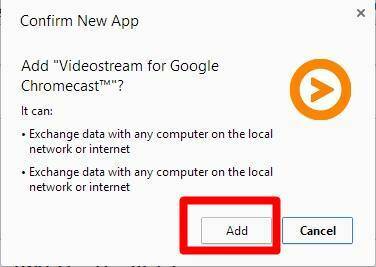 We will not cover the installation of Google cast extension because the installation procedure is exactly identical to that of Videostream extension. Actually, almost all Chromecast extension installation procedure is identically simple. Search for Videostream in the web store as shown below. Click the FREE button to add the extension to your Chrome browser. You should get a confirmation message. It tells you what permissions the Videostream extension for Chromecast are requiring. To install this Chrome extension, click “Add” as shown below. That’s it. Just like other Chrome extensions, it is very simple to install. This Videostream extension does not require any unnecessary permissions. It is very clean. Please note, to add an extension to your Chrome browser, you need log in with your Google account. Videostream for Google Chromecast requires the official Google cast extension. If you haven’t installed it, you may use the similar procedure to install Google cast extension. You can use Videostream Chrome extension to stream local media for Chromecast immediately after the installation. No setup is required (although there is a setup icon). Actually, once you finish the installation, the Videostream extension starts automatically. 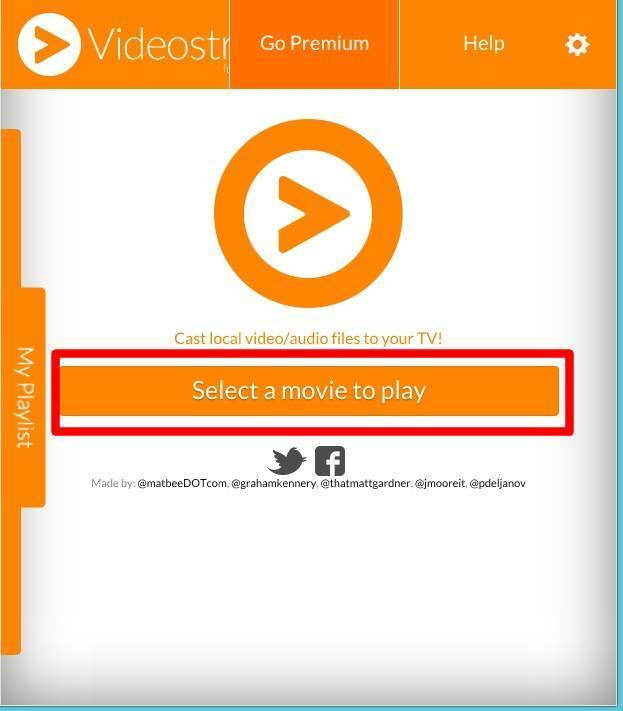 Click “Select a movie to play” button as shown below. This will open your file explorer. You can navigate to the directory and select the files to be played and click Open, as shown below. Once you select the file, the Videostream extension will start to search for Chromecast devices in your home network. If a Chromecast device is found, the Google cast extension should pop out a window for you to select the device as shown below. After selecting the device, the video will be played to Chromecast, and you can watch it on the TV. Of course, you can then do anything else on your PC. At any time, you can stop the casting by clicking the Google cast extension icon in Chrome browser. Then, you have the pop-out window with Stop casting button. Please note, the video is streamed to Chromecast and output is on TV. The video is NOT played in your PC. The Videostream extension for Chromecast is free. For most users, the free features are sufficient. However, if you need playlist support, want to try beta features, or you don’t want to see the ads (not intrusive, just an Amazon affiliate link), you may opt for Premium. You can also use your Android phone as remote control for the casting. They released the app in play store: Videostream Chromecast: Remote . It is simple and functional without bells and whistles. This remote control is currently free. 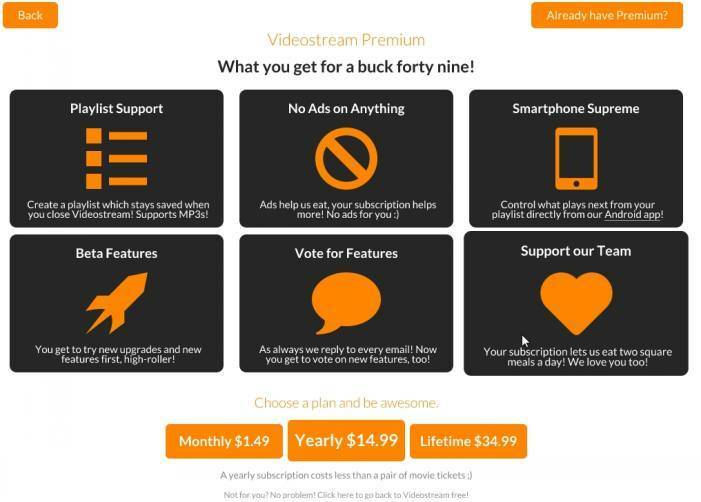 But it seems it is part of the premium package, so in the future the subscription probably is required. How to launch Videostream for Google cast after initial installation? After initial installation, next time, you can launch Videostream for Google cast in three different methods: from Chrome apps page (chrome://apps), using a desktop shortcut for Videostream app, or from bookmarks bar. Please refer to this guide for details on how to launch Videostream for Google cast app (and other Chrome apps as well). Do you have any problems or questions on using Videostream extension to stream local videos for Chromecast? Please let us know in the comment box below, if you have any questions or encounter any problems. Did you install Google cast extension? You also need make sure the Google cast extension can detect your Chromecast device. Although uncommon, but still possible, the problem is caused by other extensions. 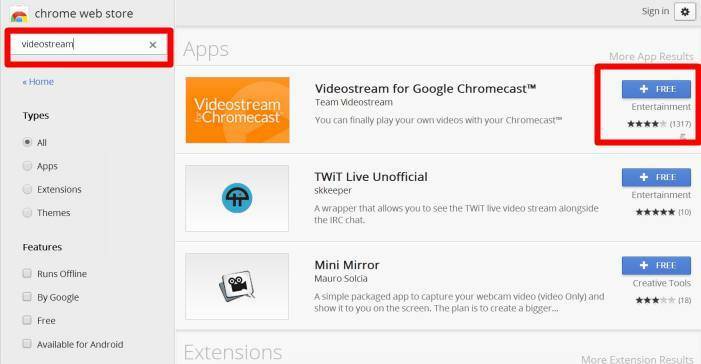 You may try to temporally disable other extensions except Google cast and videostream. Simon, tried that, no luck. Chrome simply hangs as soon as I launch Videostream app. It opens up the VS page but nothing after that. Can’t switch to another chrome window or tab either. I can’t seem to figure out the problem. You may feedback to the app developers. Is there a way to alter my firewall settings for allowed programs and features? It works when I turn my firewall off, but I dont want to leave my firewall off all the time. Any special firewall software or special settings? By default, if you are using the default Windows firewall, there are no issues with Chromecast, or this extension. I tested it in both Windows 7 and Windows 8.1. Every time I use VideoStream, after using it my computer and phone are unble to find Chromecast on my wi fi and I need to reset my Chromecast and reboot my router in order to make it work again. Is there some other free chrome extension I can use to cast my local videos with subtitles? You should stop casting in your browser after usage. Even you forget stopping casting, it’s not necessary to reset your Chromecast. You just unplug the USB power cable, wait a min, then connect again. If you can see normal chromecast screen on TV, it means it works. Anyway, you can feedback the problem to the developer. I haven’t found any better extensions than videostream. videostream isn’t working on windows 8, when I was using windows 7 i didn’t have problems but now when try to play a file it shows videostream logo on tv but not the movie and on the computer videostream keeps loading and shows the messge “comunicating with cromecast” what should i do? There are no known problems of videostream on Windows 8. I just tested on Windows 8.1. The problem could be due to some security settings. You may try to remove the the videostream and Google cast extension, clear the cache (browsing history) in Chrome, apply default settings of Chrome browser. Then try again. First, you need make sure you can cast a Chrome tab to TV. This can confirm that Chromecast works with your Chrome installation. You can try to remove the Videostream extension, clear cache for the Chrome (clear history). Then add it again. You may also try to add the Google Cast (Beta) extension, which sometimes solves some strange problems. If you can still cannot get Videostream work, try to contact the developer of Videostream extension. They may give you a solution. having an issue streaming local media files. i have the most up to date version of chrome. recently got the videostream app. the chromecast itself works fine when casting a normal tab, streaming youtube clips is perfect. even screen casting my nexus 5 works fine. but when i jump in to video stream and select a file to stream, after it asks me to select a device to cast to (and i do that) it just sits “communicating with chromecast” forever. and the video stream logo just bounces around my tv. tried with multiple file types, same thing every time. any ideas? firewall issue? network issue? as i mentioned casting a tab and youtube seem to work fine, so im out of ideas. Very likely, it is due to some settings of the Chrome browser. Did you try to uninstall and re-install Chrome browser. You can also try to reset the Chrome browser. You may also contact the extension developer to see whether it is due to some bugs. But – is there an easy way to launch the extension please? Every time I want to launch it, I have to search for it in the Chrome Store and click the “Launch App” icon in the results. Couldn’t/shouldn’t there be an Icon in the Apps Shortcut bar? That would be much more user-friendly. Have I messed up the install – or is it a missing feature? Videostream does not create shortcut. I am using videostream on my mac and it works like a charm. I was just wondering if there is any limitation to the bit-rate or in other words, what is the max data speed it can cast with? I am asking because when streaming the same video through my WD TV Live media player, it always stops to buffer but with Videostream, it works without any problems or buffering. The video i am talking about is 3 hour movie with size over 12 GB at 1080p. I am not aware of the limitations of the extension. But Chromecast can only handle up to 1080p. Works like a charm! But what could I do about matching the video with TV screen size? Subtitel falls off and only the top half of the progress bar is visible. Where to start to resolve this? You should not see the progress bar when using videostream. Anyway, did you check the settings on the TV? Matching tv screen size is part of your TV settings. Indeed turned out to be TV setting. Thanks! i have an asus memo pad 8, would this method work? i want to do mirror casting on this tablet to the tv. No, chrome extension only works on pcs. Chrome for android (or ios) has no extension support at this time. That’s great and all, but how the f*ck do I use this after it’s installed. It’s not like this is a default webpage afterwards. This is supposed to be how to use the damn thing, not how to install it. You can add the launcher top your desktop and even pin to the task bar….. Perfect, finally a useful, working app! I installed the Videostream app and it seems to connect OK. The only problem I have is that the video palys for 3 – 4 seconds, then freezes for 5 or so seconds and then repeats the stuttering. It looks like its bufferring, but it happens very frequently. I have tried both a 1080p and a 720p video as well as an MKV and MP4 format with the same results. Are there any limitations on the video format? Any solutions you can suggest? Did you try videos with 480p? It could be due to the wifi network. Mp4 should have no issues. Mkv need transcoding.but it should not be an issue. Thanks for the quick response, Simon. I have not tried a 480p video, but even if this does work, it self-defeating as I am using an HD television. Can you expand on your comment regarding the wifi network? What specifically should I be looking for? I do stream 1080p videos from my computer to another HD television on this network using something called a Boxee (streaming HD video player) without any issues at all. The wifi connection quality for Chromecast is important when streaming 1080p videos. Chromecast only uses 2.4g connection..
You may try plex media server. I moved my Chromecast to a TV much closer to my WiFi router and Videostream now works perfectly. I guess the WiFi strength was not enough for the original location. Thanks for your help. if you have any suggestions to beef up my WiFi, please pass them on. Thank you for the update and share with us your solution. The HDMI extender in the box may also help the WiFi reception. Does this happen to all files, or just a few files? Maybe it’s due to codec. You may try plex media server, whose transcoding is Moyer powerful. Anyway, you can feedback the issue to the developer of the extension if the video is nor sensitive. Stuttering is a peculiar problem; I watched a movie of 1h47m length, and only in the last 15 minutes did the stuttering get so bad that the movie was frozen more than it was running. Nothing else was going on on the wifi at any time. Do you have any ideas why the buffering would increasingly become a problem, rather than being a problem (or not) all the way through? Does it happen often, or just once? For all videos or, a few? Just bought my chromecast. Installed it and it’s working fine. BUT installed the videostream app and it’s not working at all. Support doc said to run a utility for my firewall which I did. Also says to add exceptions to MS Security Essentials (but doesn’t tell you how) which I did. Also says to open two ports in my firewall (but doesn’t say how to do it) which I did. Attempted the 3 separate fixes I found you recommended and it still doesn’t work. The Videostream tech support recommendations are lacking. Since I bought the product to stream videos, I would appreciate some sensible support in getting this to work. Chrome casting works fine. Using Windows 7 with MS Security Essentials going through a Motorola SBG6580 SURFBoard Gateway with modem. When attempting to stream video, I sometimes get the Firewall security prompt and sometimes it just doesn’t work no diagnostics whatsoever – PC indicates it is casting the video but nothing on the TV. Videos never even get started on the TV. I tried the 3 solutions above but since you are not very coherent on the subject I’m not sure I did them correctly. First, can you cast the Chrome tab? Second, you may temporally disable firewall and antivirus to see whether it works. Windows firewall settings can be a big mess: it is the fault of M$. Third, sometimes, the problem can be caused by the settings in the router. Do you have a mobile device to cast YouTube? My recommendation for windows system is Avast! antivirus with default Windows firewall. Videostream should work with the combination without issues. I am using Videostream on my Mac with Chrome as an extension. When I try to stream web pages or youtube, it seems to be fine. The movie is not paused, but standing on 0 sec, and I can not start it. These file formats cannot stream with Videostream. I’ve used Videostream for a while, and have intermittent issues with buffering. We first used it and it worked great. Then, after a while, it started buffering more and more frequently. This has occurred both on a Windows 7 laptop, and then on a brand new Windows 8.1 laptop. The computer can handle the files just fine, but once we try to use VS, it buffers a lot. The videos are mostly .AVI files, a mix of SD and HD, movies and TV shows of various lengths. We have a Comcast X1 combo modem/router, if that matters. The only devices on our network are a laptop, two phones and the chromecast. Any suggestions for ways to fix it? For hd 720p or sd videos, you should not see the buffering message on screen. The router should be sufficient the laptop or Chromecast is too far from the router. You may try to unplug the USB cable from Chromecast, wait a few mins, then, plug back. You can try: 1). to use Chrome tab casting to see whether you get similar issues. or 2). to use Plex media server. You may remove the extension, then sign off your Chrome. Restart Chrome, sign in Chrome with your Google account, then add the extension. Videostream was working great and now it stopped. When I click on it, it opens a separate blank box with nothing in it. I have uninstalled and re-installed both chrome and videostream. I have also uninstalled my malware prevention program. Please help, thank you. Is it due to video format? Did you try any other videos? Try mp4 files. Videostream always worked great when playing from desktop. But lately afther a few minutes the streaming starts to buffering with no playin at all. And on my desktop the video keeps on playing. Everything else works great youtub netfilx. Did it happen to all videos or videos in certain format? If you have this problem, try disabling adblock for google. I realized after 4 hours. Our local files are buffering almost constantly via Videostream. Other platforms like Netflix & Popcorntime(when available:) work fine. Have reduced the quality value but still painfully intermittent w buffering. Any suggestions? What is the video format? It could be caused by codec of the videos. Did you try to play directly in Chrome browser? Hi, Videostream works like a charm and the app works great. I’ve created a playlist with pretty much all my videos and its great just sitting back and selecting what i wanna watch and when. Now my computer is usually left on in the evenings and there’s nothing worse then lying back and going to open videostream on my phone to pick something and realising i have to get back up and connect to videostream on the computer, i know it’s lazy. Is there any way i could connect to videostream via my phone just so i can be more of a couch potato. You can install chrome remote desktop, then you can control everything from your android devices. It’s very simple. On the pc, you install the extension for chrome browser. 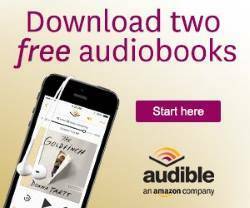 On your android device, install the app. When opening a .avi file directly in chrome, it finally opens in Windows media player.. Is that good, or is that the reason why videostream every now and then refuses to stream a .avi file to my tv? Do I need Plex media server for these files? 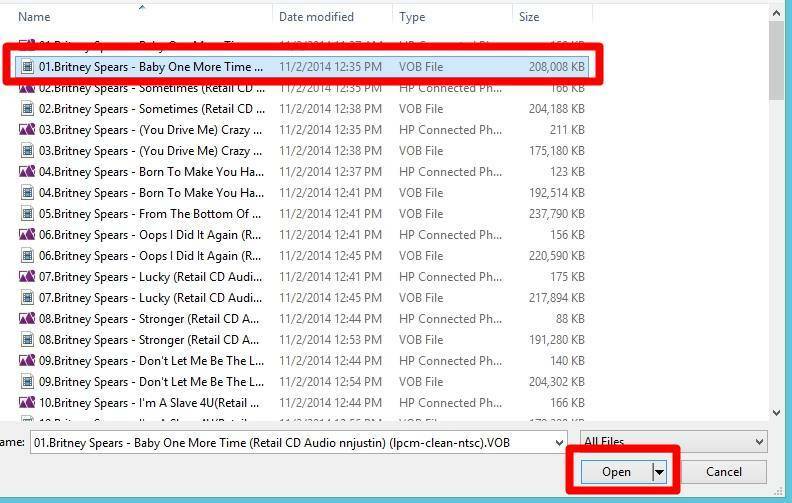 It is normal that chrome pass avi files to media player or to download. Avi files may have very different codecs. Some of them cannot be handled by videostream. Plex should be able to handle almost all of them. Works pretty well. Got exactly what i needed. Thanks to this post. Chromecast is awesome with Videostream app. Hee Hee Hee !!! Happy now. 10/10 for videostream app. I’ve been using chromecast and videostream for 3-4 months with no problem, i have recently updated to windows 10 and this is the first attempt to videostream a file to my tv but when i click google cast nothing happens, where i’d usually pick my chromecast to send it to.. i can right click and go to options, just not cast to my tv. I pick my video as normal, just no casting works. I’ve uninstalled cast extension and reinstalled. I can still cast from my phones and tablets just not files from my pc. I tested it on Windows 10. There are some issues. But it still works. if you get the unexpected error, you can click OK to dismiss the error. Then click the google cast icon, then click the Chromecast, then click Casting cnciopoikihiagdjbjpnocolokfe. If nothing shows on the TV, you may try to temporally disable firewall and antivirus, then try again. After disabling the firewall, what error message did you get? Hi! i have a problem with video stream, when i use the app in chrome the video works fine but the audio fail, a few days ago the app works fine, but now i can’t hear the audio. I tested others apps and the audio works fine, the problem its just when i am using videostream with chrome. Also the movie that i am trying to cast worked well in videstream before. Hi is there support of iOS devices. I have chromecast. Videostream works perfectly with my gf adroid device but when I try to use my ios device such as my iphone it only states i can use it as a remote control. I want it to be able to browse the files on my pc and play them back as it does on android devices. As I know, you cannot on iOS at this time. You may send feature request to the developers. They are quite responsive. Paid for Premium. How do I stop the ad the flashes up on screen between videos? Not sure because I did not upgrade to premium. You need check with the developers. They are very responsive. Open Chrome browser, in the top left area (below the left and right arrows), you should be able to find the Apps button (with text of Apps). Click it to see all apps/extensions installed for Chrome browser. You should be able to find videostream. You can also access the same page by simply type: chrome://apps/ in the address bar. You can bookmark this page as well. You can also create a shortcut in the desktop. Once in the apps page (chrome://apps/), right click Videostream icon, then you can find the option to “Create shortcut”. This will add a shortcut in your desktop. You can use videostream directly from the shortcut without manually opening Chrome browser (and manually finding the app). Is there a way to stop my Windows 10 PC from going into sleep mode whilst casting with Videostream? Every time I’m watching something, as soon as it hits the sleep timer, the PC shuts down and streaming stops. Only thing I can find that seems to work is turning off sleep mode altogether but I would rather not do this. Is there a setting somewhere that I’m missing? In Settings–Power and sleep — Additional power settings– Change plan settings (next to for current power plan) –Change advanced power settings –multimedia settings –When sharing media — Settings, set it as Prevent idling to sleep. Yeah I’ve tried that, doesn’t work. Not sure. I guess that’s the only setting in Windows 10. It seems I do not have this issue. You need to make sure you are adjusting the settings for current (active) power plan, not the others. Anyway, I would not be surprised if some settings may not work properly in Windows 10 because I personally noticed some settings in my desktop work and the same settings in laptop are ignored. From the Adroid App I cannot add my USB drives that are plugged into my Router. From the computer I can add them in the select media folder but not from the Android app. It asks me to select a folder but the usb drivers are accessed from a shortcut on my desktop that goes through my router ip. Any suggestions please. This is normal. You can feedback your request to the developers. They are quite responsive. Is it possible to play videos at 2x speed with this app? If so, how? If you play it in 2x speed, how about audio? As I know videostream gets frame rate from the fire and play it accordingly. You have to use other apps to change frame rate. If I’m not mistaken, Google Cast is now built-in Chrome. No need to install it as a separate extension. What’s the problem you encountered? I like the App, but it has problems playing some local videos like WMV and MOV….i can drag a 2 GB AVI, MKV or MP4 movie and it’ll stream perfectly with no buffering……then i drag a 50MB WMV or MOV video clip it cannot go 2 seconds without buffering….no matter how low i turn down quality.